This Nexera TV stand is sure to fit any floor plan. The black free standing TV stand can hold a television up to 31-inch to 40-inch. This TV stand is great for storing movies, gaming consoles, and speakers. Pinnacle 39.75-inch x 30.5-inch x 19.25-inch TV Stand in Black This Nexera TV stand is sure to fit any floor plan. 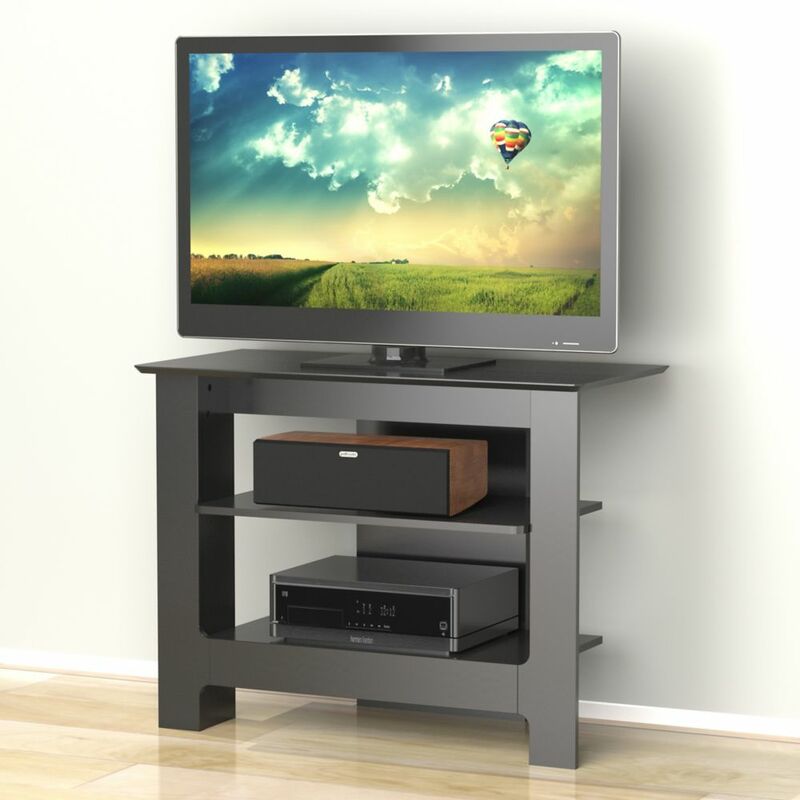 The black free standing TV stand can hold a television up to 31-inch to 40-inch. This TV stand is great for storing movies, gaming consoles, and speakers. Pinnacle 39.75-inch x 30.5-inch x 19.25-inch TV Stand in Black is rated 4.0 out of 5 by 1. Rated 4 out of 5 by Maggie from Very nice T.V. Stand. We bought this for an extra room. Nice looking...easy to assemble.....easy to clean.....great price!